In 1903, Frank August Hoppe mixed nine chemicals and created the most potent gun cleaning solution the world had seen. That commitment to innovation at Hoppe's remains the same today as it was at the turn of the 20th Century. 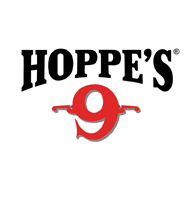 Serving shooters of all disciplines, Hoppe's offers gun care products that meet the rigorous standards Hoppe established more than 110 years ago. With three lines of gun care products - Hoppe's, Hoppe's Synthetic and Hoppe's Elite-Hoppe's provides gun care solutions for every barrel. For more information about Hoppe's products visit www.hoppes.com.